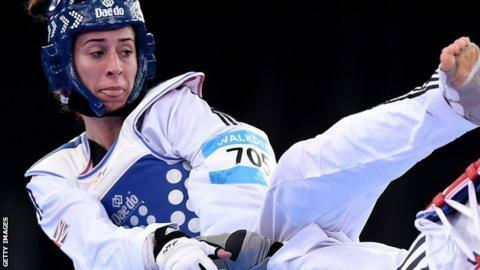 Britain's world champion Bianca Walkden suffered World Grand Prix semi-final disappointment in Moscow, losing the +73kg contest to Nafia Rus by golden point. Walkden, 23, pulled back from 3-0 down in the final round to tie the score. But Turkey's Rus struck first in overtime to take a golden-point victory, leaving Walkden with bronze. An hour later Mahama Cho also lost his semi-final, beaten 5-0 by Russia's Vladislav Larin in the +80kg category.